Here's an exciting menu for your weeknight cooking. The weeks go by in one fat whirlwind that we hardly get a chance to fully contemplate dinner, and before we know it we're ordering in or throwing together something we've eaten a dozen times before. So here is a list to save you all that thinking and provide you and those you share dinner with, something a little more exciting to eat. It's a nicely balanced weeknight dinner menu, three of the days being vegetarian and other other two including chicken and beef. They are also all very simple and shouldn't take you much time. 1. 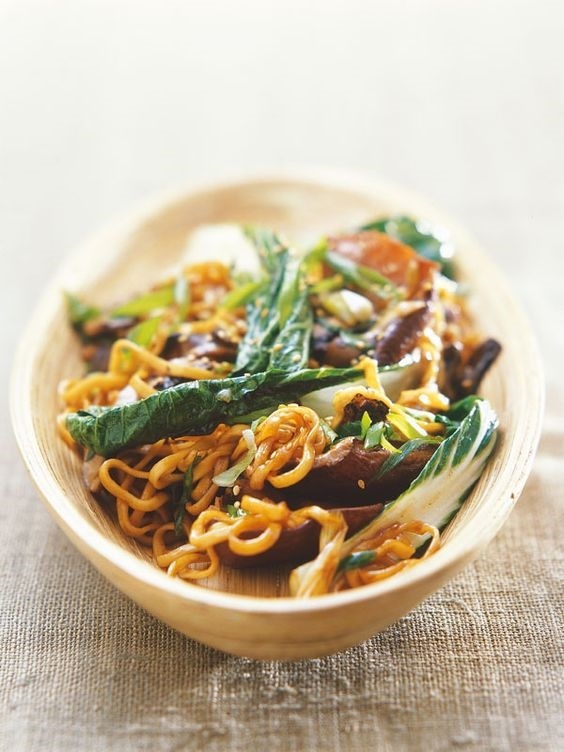 Shiitake mushrooms and bok choy stir fry with noodles - a deliciously warming Asian dish, finished off with sesame seeds. 2. 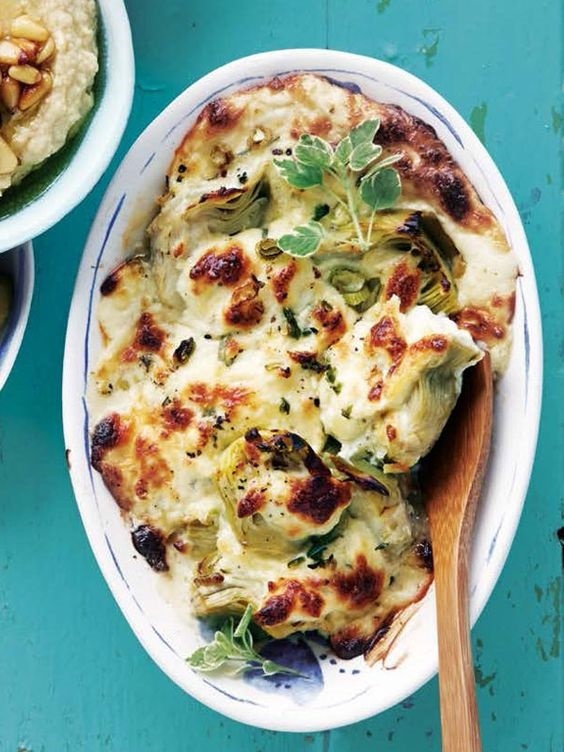 Seriously simple artichoke bake - a very quick and generously cheesy meal to throw together in a matter of minutes. 3. 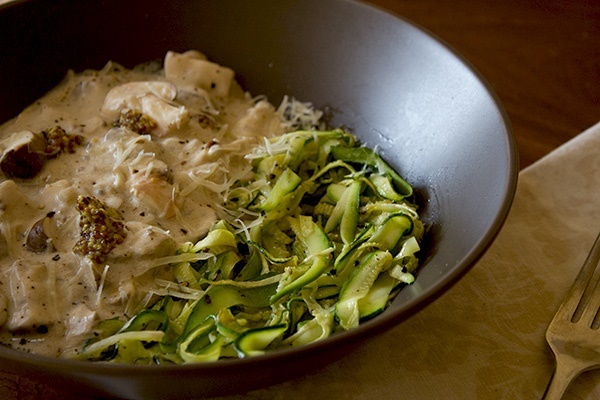 Creamy mushrooms and zucchini pasta - a low carb 'pasta' option, made with yoghurt and garnished with whole grain mustard. 4. 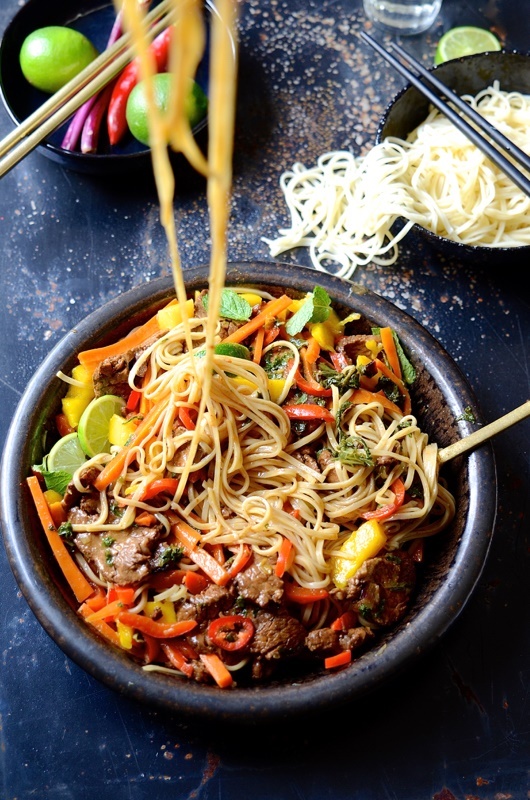 Spicy beef stir fry with sweet peppers and mango - a lovely fruity, fragrant and simple summer stir fry. 5. 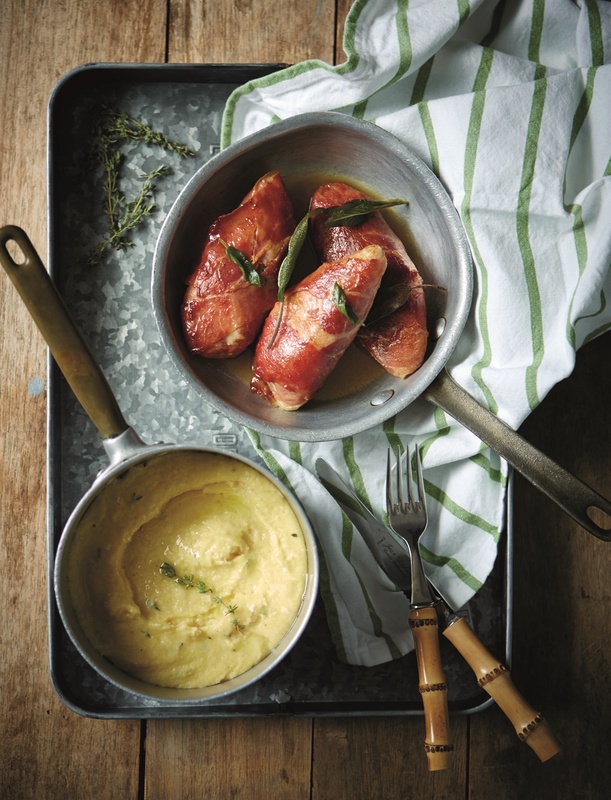 Chicken saltimbocca and creamy polenta - based on the Italian dish which is usually made with veal, the sage and parma combination is unbeatable.